The importance of a good credit score cannot be stressed enough. A high credit score is a reflection of a good credit history. And, a good credit history takes time to build, beginning with the smallest loan repaid to all payments made on time. By avoiding missed payments, defaulting and letting your account reach the collection agencies, and you are on your way to a respectable credit history. With so many advantages, it is essential that you know how to improve your credit score. Mentioned below are a few hacks to improve credit score. Bear in mind, though, that it takes time. 1. Have recurring digital calendar reminders to remind you to pay your bills on time. You can also maintain a diary or a log, especially for your financial transactions and keep a track for making payments. Delayed payments not only result in late fees, but can adversely affect your credit score, too. c.) Do not use your credit card beyond 30% of your credit limit. The smaller the used to unused ratio, the better it will be for your credit rating. If you use it over 30%, pay all bills on time and have a clean record, it could still affect your score. This is because some lenders might consider the balance on your statement to report to the credit reporting bureau. d.) Pay off all the small balances instead of putting them off. 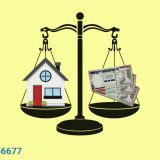 In case of multiple cards, once you have paid off all the smaller balances, use only one or two â€˜goodâ€™ cards. â€˜Goodâ€™ cards are those which you have been using for a long time and which have no missed payments and defaults on it. 3. Do not delete or attempt to remove old debt from your credit report. It is the kind of debt that is good for your score as it showed that you paid the debt as agreed. Also, the longer back in time the debt, the better it is for your score because lenders prefer to see a long standing good report than a good credit report for a shorter duration. It deems your profile reliable, â€˜low riskâ€™, and worthy of future credit. 4. When choosing a loan offer, be realistic and choose the one that best suits your repayment capacity. Also, ideally, choose the financial institution that allows pre-payment, lower interest rate and suitable tenure. 5. Negotiate for a lower rate of interest on any loan. 6. Check your credit report once every year and rectify any errors immediately. 7. If you are overdue, try not to escape the company calls. Request for a payment plan rather than have collection agencies knocking on your door. 8.Â Do not apply for multiple loans/ credits at the same time. 9. 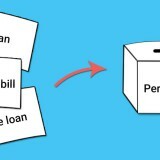 Even if you want to save for some purchase, do not fault in your repayments such as paying less or missing payments. These instantly bring your credit score down. 10. Donâ€™t obsess about your score. Simply keep a yearly tab and rest of the year, pay bills on time and use credit card responsibly. 12. Donâ€™t close old accounts as it decreases the length of your credit history. The longer the credit history, the better it is for your score. 13. Maintain accounts in your own name. Also, do not allow someone to use your name for purchasing something on credit, even if the EMI payment goes out of their account. Small Cash Loan vs. 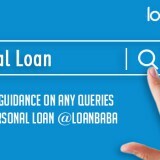 Personal Loan: Which to Choose? Previous story Layman Series: So, Your Loan Is Rejected. What To do Next?